* Drive to Duel: To gain superiority over Juri. Shiori left the school after stealing the man she believed to be Juri's boyfriend in order to feel more powerful than her, leaving Juri devastated (contrary to Shiori's initial beliefs, however, Juri is hurt because of her love for Shiori). Shiori is in many ways an innocent character, in denial of her true feelings of admiration for Juri. Due to her inferiority complex, her attitude towards Juri is often downright sadistic (as her schemes are often designed to hurt Juri for no reason other than to see her suffer) and at the same time masochistic (as Shiori hurts herself every time she hurts Juri). Upon discovering Juri's love for her, Shiori becomes a Black Rose Duellist and pulls her duelling sword from Juri. In the movie her role as an antagonist becomes much greater by manipulating Juri into duelling Utena. 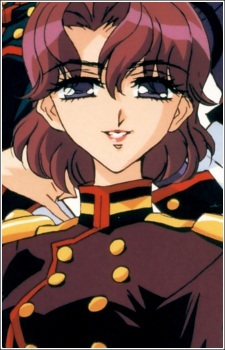 She is also shown as having been in love with Touga and therefore considers both Utena and Juri to be rivals for his affections. She also is a very horrid obstacle in Utena's path and in the end she attempts to thwart Utena's role in becoming a prince as she believes Utena is the main reason Touga does not love her the way she wants him too.